You can see her now in The Hate U Give, and Issa Rae will be continuing her work on the big screen in a new Paul Feig comedy. According to The Hollywood Reporter, Rae will star in the comedy American Princess, which will be directed by Stella Meghie and produced by the besuited one who most recently brought you A Simple Favor. 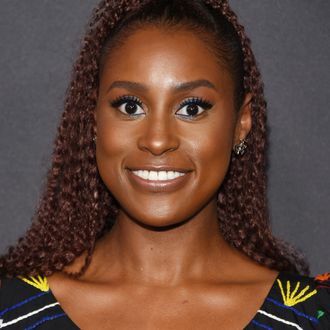 In Princess, Rae will play a woman who moves to London, “where she’s drawn into a world of wealth and high society and falls in love in a very unexpected way.” We love fish out of water romances set in the world’s most moneyed major cities, so add in Issa Rae and this already sounds like a winning formula. Is Henry Golding free? Paul Feig already has him on call and his accent (and his everything else) seem just right for this setting.